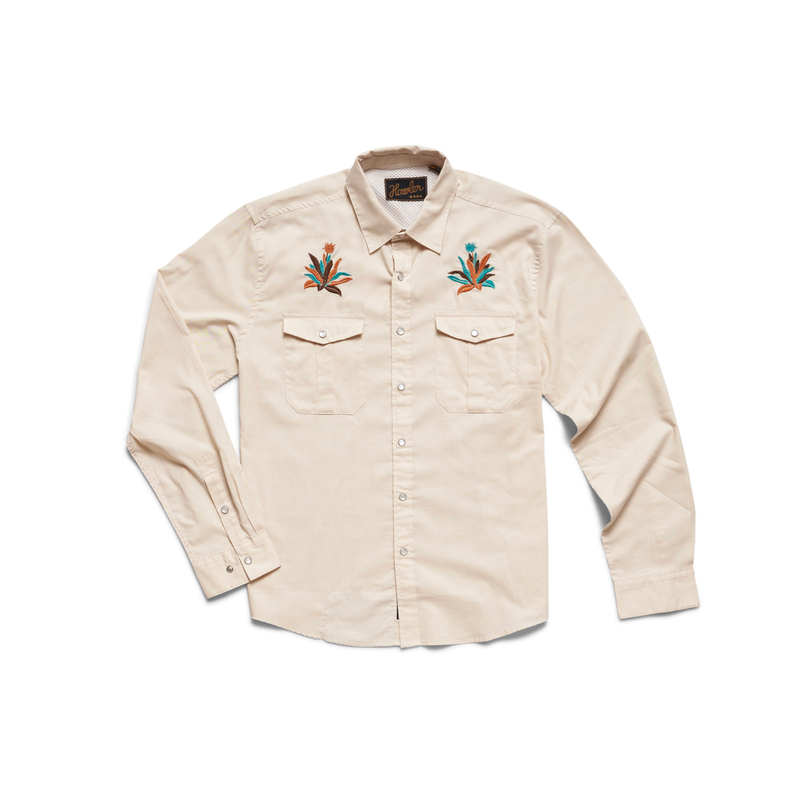 Howler Brothers Gaucho Snapshirt. Get the latest unique design while they last. We started carrying Howler Brothers clothing because they offer something that your average travel/fishing shirt simply doesn't bring. A little style along with functional performance. The right blend of nylon/poly to keep the shirt light but no so light you wouldn't wear it trout fishing in Wyoming or the South Island. 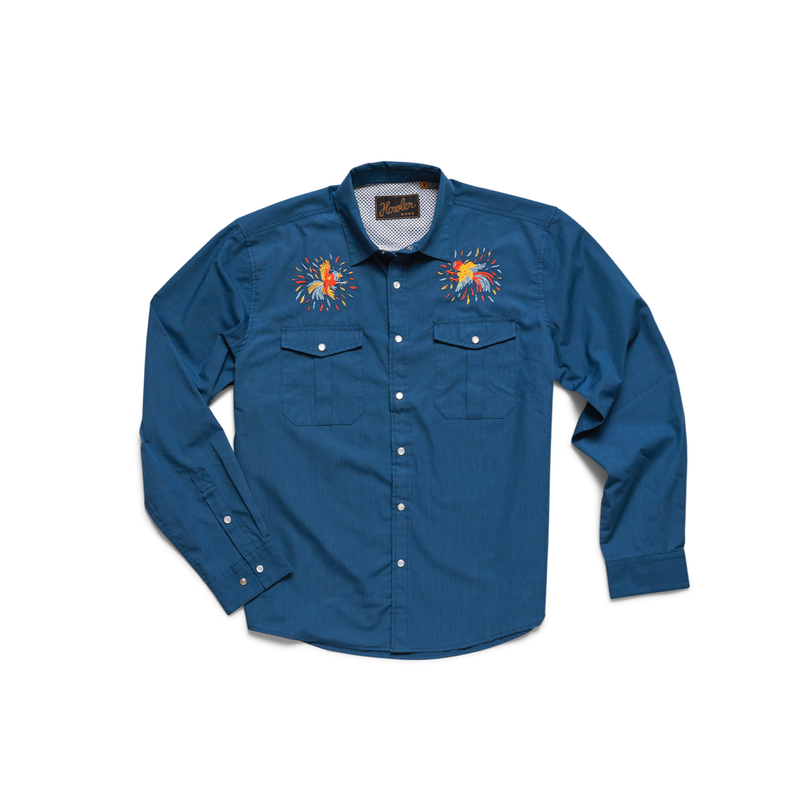 Add a little style to your fishing shirt! Vented mesh back yoke, pearl snaps pleated chest pocket.